NEW YORK CITY: Have you ever seen book-loving vultures at a swanky party? I have. At the National Book Critics Circle (NBCC) Awards reception I attended tonight, no two goody bags contained the same set of free books. (All books were finalists for the NBCC Awards.) Before leaving the party, the people hovered over the table, ransacked each of the goody bags, tossed aside the freebies they did not like, and replaced them with books from the other bags they actually wanted to take home. It was like a mad street fair. Only in New York! The award ceremony was held at the New School’s Tishman Auditorium in New York City on Thursday, March 8. Author Edith Pearlman took home the NBCC award for for fiction for her collection, Binocular Vision: New & Selected Stories (Lookout Books). And Maya Jasanoff. won the nonfiction award for Liberty’s Exiles: American Loyalists in the Revolutionary World (Knopf). 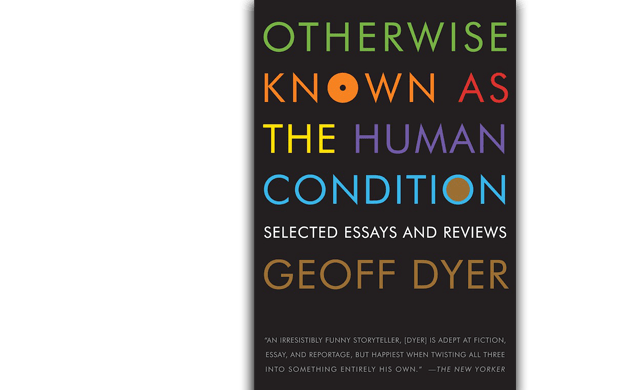 Geoff Dyer took the criticism award for Otherwise Known as the Human Condition: Selected Essays and Reviews (Graywolf Press). John Lewis Gaddis won the biography award for George F. Kennan: An American Life (Penguin Press) and Laura Kasischke won the poetry award for Space, in Chains (Copper Canyon Press). The autobiography award went to Mira Bartók for The Memory Palace: A Memoir (Free Press). Kathryn Schulz was presented the Nona Balakian Citation for Excellence in Reviewing, introduced by Carolyn Kellogg. 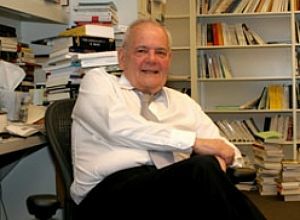 Roberts B. Silvers of the New York Review of Books (NYRB) was presented the Ivan Sandrof Lifetime Achievement Award, introduced by NBCC President Steven G. Kellman and NYRB contributor Daniel Mendelsohn.